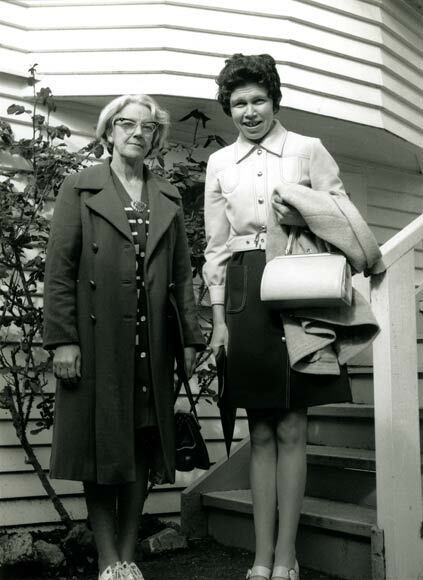 Two of Family Planning's best-known doctors, Alice Bush and Margaret Sparrow, pose for the camera in 1972. In the early 1970s Dr Sparrow worked at Victoria University's student health clinic. However, few students went there for contraception, as the clinic director believed it should only be given to married couples – a common attitude among doctors at the time. After Sparrow attended a Family Planning Association conference she came back and put up a contraceptive display in the clinic. The director was not impressed, but Sparrow refused to back down. From then on the clinic provided contraceptives.